The KS-50 is the ultimate SCOUT VHF marine antenna, specifically designed to solve all the problems connected with installation. 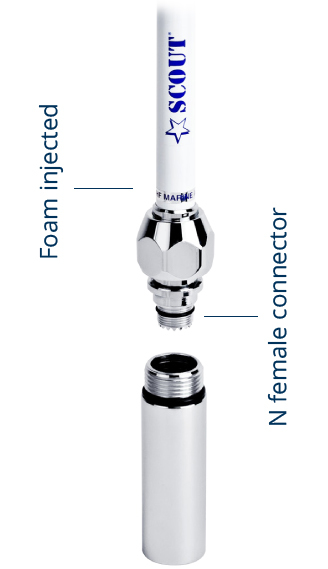 The KS-50 equips the new SCOUT Fast Fit system, that allows an easy removal of the antenna whenever needed and guarantees at the same time a safe protection of the connector. 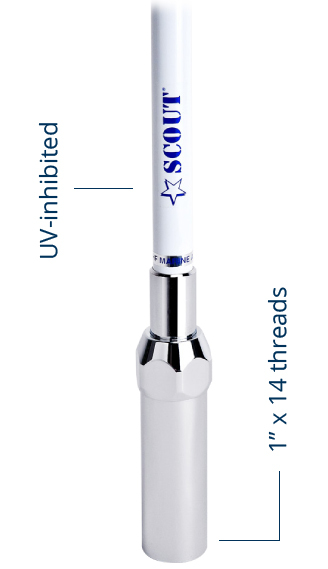 Solid brass elements for high performance, waterproof SO 239 connector, and the special paint with anti-UV filter to avoid the deterioration of the coloring make this antenna the top of the SCOUT range. 100% WATERPROOF.